I studied at Georgia Southern University right out of high school, before transferring to Aquinas College in Grand Rapids, Michigan. 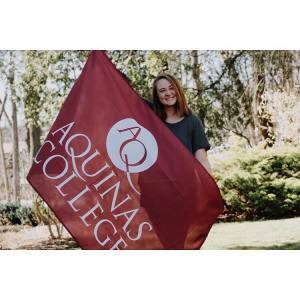 I have been working at Aquinas with their Catholic Student Fellowship and Campus Ministry for the past two years as Retreat Rector, Music Coordinator, and Logistics Director. I served as the Teen Development Director at a summer camp in Michigan, as well as the Camp Director for a YMCA day camp. My father was in the Navy, and I lived in Michigan for the majority of my childhood. In college, I did a good amount of international travel - from medical mission trips to the Dominican Republic and Costa Rica, to studying abroad in the Middle East and Africa - I love traveling! I am so excited to be here! We are always looking for college, young adult, and parent volunteers for everything we do - our Confirmation classes, youth groups, retreats, summer and spring break trips. PLEASE consider volunteering, if not once, then multiple times! Our ministry will only be as strong as our volunteers. 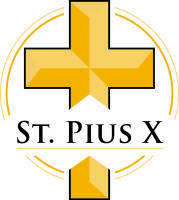 The Confirmation schedule and Youth Group schedules are published online on the St. Pius X web page, under the Youth Ministry section. Schedules will be changed and updated as necessary, so please check back often. We will also have a parent/child meeting for Confirmation I and Confirmation II parents to discuss preparation for this important sacrament. I cannot wait to meet and get to know your families! If you have any questions, please email me.